Prime Minister Benjamin Netanyahu, held a security consultation in conjunction with Public Security Minister Yitzhak Aharonovitch, Israel Police Commissioner Insp.-Gen. Yohanan Danino and ISA Director Yoram Cohen. In the telephone consultation, the Prime Minister was updated on the details of vehicular terrorist attack in Jerusalem; he ordered that security forces in Jerusalem be reinforced. “This is how Abu Mazen’s partners in government act, the same Abu Mazen who – only a few days ago – incited toward a terrorist attack in Jerusalem,” the Prime Minister said. The United States condemns in the strongest possible terms today’s terrorist attack in Jerusalem. We express our deepest condolences to the family of the baby, reportedly an American citizen, who was killed in this despicable attack, and extend our prayers for a full recovery to those injured. We urge all sides to maintain calm and avoid escalating tensions in the wake of this incident. 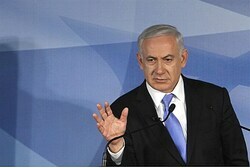 At a ceremony honoring the reunification of Jerusalem in the Six Day War, Prime Minister Binyamin Netanyahu made some of his strongest statements to date regarding the right of the Jewish nation to sovereignty over its ancient capital of Jerusalem. Jerusalem Mayor Nir Barkat: “Thank you very much, Mr. Prime Minister, Benjamin Netanyahu, and Government ministers. First, I would like to thank you for your direct support of Jerusalem. Thank you also to the ministers and deputy ministers for your complete commitment to the city. Since the Government was established, your Government has – year after year, continuously – supported Jerusalem and provided it with resources and significant tools, unprecedented in relation to what has been in the past, which have enabled us to accelerate momentum in the city. The scope of investments, projects and inter-ministerial cooperation in the city are on the increase and this greatly contributes to the changes and processes moving through the city of Jerusalem. This year, we have good news: The investments are starting to bear fruit. For the first time, we are seeing a change in the trend – from a drastic decline in the numbers of students in the state secular and state religious schools in Jerusalem, after over 15 years, we see an increase in the state secular stream and for three years already, we have seen growth in the numbers of students in the state religious stream. Of course, this is alongside growth in other sectors. Economic and cultural growth in the city have also been considerably higher than the national average over the past three years. Look at the skyline and you will an increasing number of cranes, which indicates growth. Jerusalem has returned to being a cultural capital with a growing number of visitors and tourists. We also see an increase in pupils’ achievements on their matriculation exams, an increase in enlistment in the IDF from Zionist schools, and an increase in the number of pupils in youth movements. We see that the Government and the Municipality are continuing – at an accelerated pace – to reduce the gap in the number of classrooms in the Arab and ultra-orthodox sectors thanks to considerable investments in physical infrastructure in eastern Jerusalem. The residents have felt this very well. Jerusalem has returned to being a city that it is worthwhile to live in. The public in Jerusalem is expressing confidence in the city and we see that it is more satisfied than the national average. Mr. Prime Minister, the Middle East is a seething cauldron. The world is awash with instability and crises. However, we see that in the State of Israel in general and in Jerusalem at its heart in particular, economic growth is accelerating. We are enjoying an increase in visitors, from unprecedented quiet in activity in the municipal framework. This would not have occurred without your support, Mr. Prime Minister, as well as that of the assembled ministers and members of the municipal administration. I am entirely hopeful that we will continue to build up Jerusalem for the benefit of all its residents despite global trends. I would like to wish all of you a happy Jerusalem Day. May we meet here again next year with more good news, amidst further momentum in the economic development of the city. Prime Minister Netanyahu: “Thank you. The work is indeed considerable and impressive and is being carried out under your leadership and, of course, in cooperation with, and led by, Government ministers. Each one of them has contributed of his or her time and energy and, I must say, from their budgets. There is very great commitment to the unity and development of Jerusalem. We are translating this, first of all, into a lot of money that we are investing here. We also see this in the aesthetic change that has come over the city – in infrastructure, education, tourism and tourist sites. We are continuing this here today with the decisions that we will make. We are committed to the liberation of Jerusalem. With the concurrence of Finance Minister Yuval Steinitz, we have also decided to maintain and renovate this site. Ammunition Hill expresses the heroism and self-sacrifice, without which Jerusalem would not be unified. We will renovate this site and turn it into a heritage site. As soon as it becomes a national heritage site, it will, in effect, ensure its continued operation for generations to come. A second thing that we are committed to, first of all, is to the city’s past. Jerusalem was a city of the Bible, Jerusalem will be a city of the Bible. Today, we will make a series of decisions that will enable us to build Biblical sites in the city that will enhance and explain our link to the Land of the Bible, to Zion, and also allow millions of people, no less, millions of people to have a direct appreciation of Israel’s heritage as it finds expression in the Bible. This will be Jerusalem and this is very important. We are committed to Jerusalem’s present – to build apartments. Today, we will make decisions that will make it easier for military and police personnel to live in Jerusalem. This is very important, there is housing distress and there is also great demand for housing – and we will deal with it. We are also committed to an expanded tourism plan that will embrace the entire city; this will lead to the present and future development of Jerusalem. We are committed to the future. There is a special expression to this that we will decide upon today – the decision to build the Einstein museum. The idea is President Shimon Peres’ and I adopt it wholeheartedly. I think that the Government ministers who are familiar with this special idea can give it their backing because it will attract the entire world to the museum, which has been designed in the image of the head of Albert Einstein. I believe that this will be a global attraction. We are joining the past, the present and the future, and I think that very great and important things are being done here to ensure the future of Jerusalem as Israel’s eternal capital as well. I would also like to comment on one additional issue, that of illegal work infiltrators. This phenomenon is very grave and threatens the social fabric of society, our national security and our national identity. It began over seven years ago and upon the Government’s entry into office three years ago, we decided to deal with this problem in all its aspects – first of all, to stop the entry and second, to begin to withdraw those who were already inside. If we do not stop the entry, the problem, there are now 60,000 illegal infiltrators, could easily grow to 600,000 illegal infiltrators. This would inundate the state and, to a considerable degree, cancel out its image as a Jewish and democratic state. Therefore, the first necessity is to build a physical barrier and again, all ministers here have contributed from their budgets so that we can build this barrier which is currently nearing completion. By October it will be complete in its entirety, except for a small section around Eilat, which we are dealing with separately and where a fence will be completed. But until then we will block it with other means, including forces. Then the first thing is to stop the entry. And the second thing – is to start withdrawing. How will this be done? First of all, those who employ illegal infiltrators will be punished severely and we will also begin the physical withdrawal. I know that this issue bothers many citizens, and rightly so. I talk with them. I have been to Eilat and other places, so have the ministers. We are aware of the distress; we are dealing with it. We will resolve the issue, not by shouting, but by action. We hear the shouts, we are taking action and the action will succeed. A Happy Jerusalem Day to you. Jerusalem is, by the way, a beautiful city. I see it as very picturesque. Together, we will make it even more beautiful. The Cabinet decided to develop Ammunition Hill as a national heritage site in order to strengthen awareness of its historic story among the public at large. The Cabinet approved a series of plans to strengthen the city of Jerusalem and advance its economic, tourist and social development. Pursuant to its policy of strengthening tourism in Jerusalem and to the understanding that tourism is a significant economic growth engine for the State of Israel in general and for Jerusalem in particular, the Cabinet decided to formulate, within 24 months, a strategic tourism plan for the city of Jerusalem. The Cabinet decided to establish the Albert Einstein Museum in Jerusalem to reveal items from the legacy of the father of the theory of relativity. The Cabinet decided to build Bible-based tourist sites, including a Bible museum, in Jerusalem in order to attract tourists from around the world and enable them to enjoy unique experiences based on the history, culture, archaeology and heritage of Jerusalem, with the main theme being representing the Biblical era in the authentic environment in which the events took place. The Cabinet instructed the Israel Land Administration to allocate, in 2012-2015, tender-free land in Jerusalem for those serving in the security forces (see #3 above). Pursuant to the 1959 State Service Law (Appointments), the Cabinet approved Eyal Avraham Rosner to direct the Prime Minister’s Office national plan to develop technologies to reduce the global use of petroleum in transportation. At the close of the Cabinet meeting, Jerusalem Mayor Nir Barkat reiterated his thanks to Prime Minister Netanyahu, the other ministers and the various ministries for their contribution toward the development and advancement of Jerusalem and for the cooperation that the municipality has met with in its contacts with the various ministries.